— In the spring of 1987 I was finishing a chemistry degree at UC Davis. In what would have been my graduating term, I took a beginning drawing class for fun, taught by visiting artist Scott Bell. Our assignment was to draw the same thing at least once a day in our sketchbook. A Japanese monster toy that spit sparks when you spun its wheels. Having never really drawn before, a new door opened. Scott Bell, wherever you are, thanks. 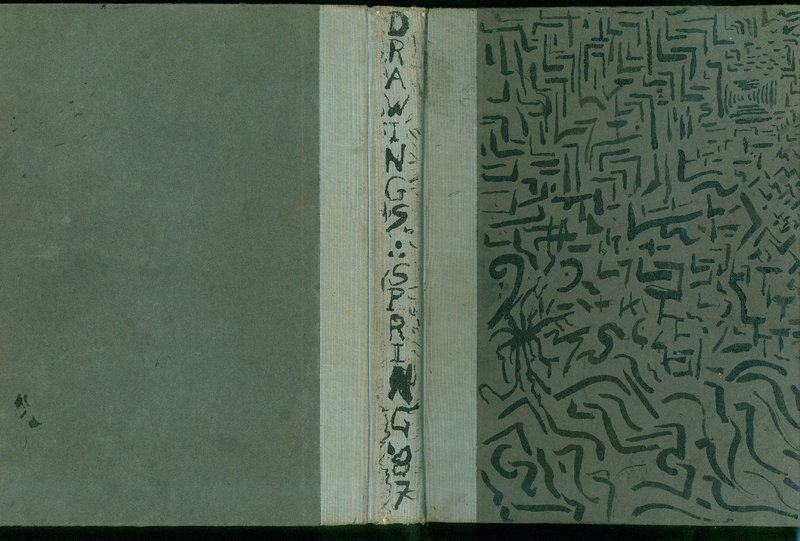 A reproduction of Dave Muller’s first ever sketchbook. Click image to see inside. Dave Muller is an artist/musician/curator/dj. In 1994 he founded THREE DAY WEEKEND, a nomadic exhibition project. Dave Muller was born in San Francisco and lives and works in Los Angeles.